My coworkers and I were talking and the average lunch will set you back more than $10.00 for a sandwich, chips and drink at most deli shops or take out joints. 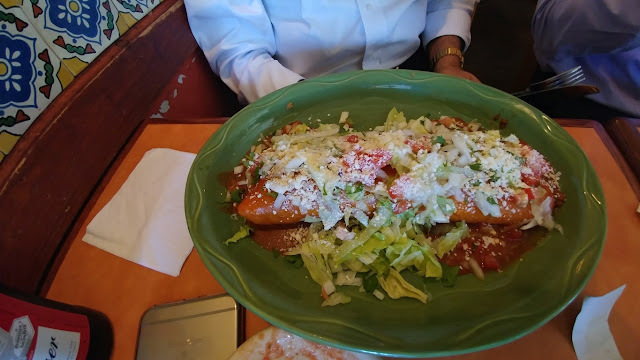 We stumbled upon Xtapa Cantina Mexican Restaurant in Woburn Center and decided to give it a try. Similar to most other Mexican restaurant, warm complimentary tortilla chips were served and each guest had their own cup of salsa. I loved that I didn't even have to ask because I sure do love to double dip! The chips were nice but the salsa was a bit on the watery side. The $5.99 lunch menu was pretty extensive. 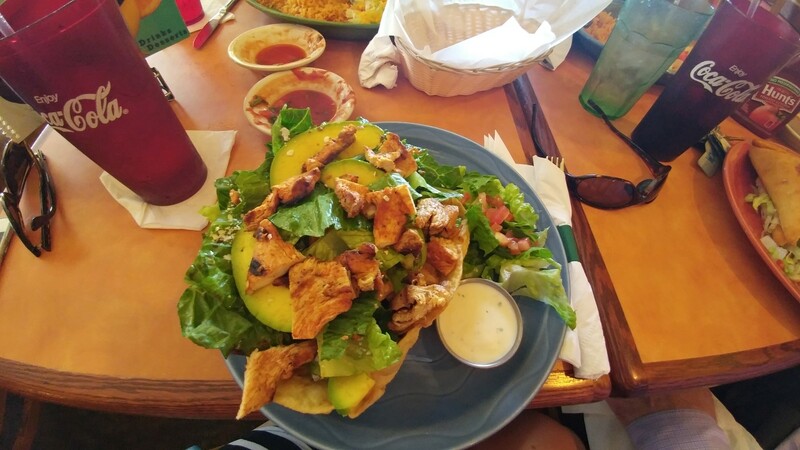 There were tacos, burritos, enchiladas, and taco salads. 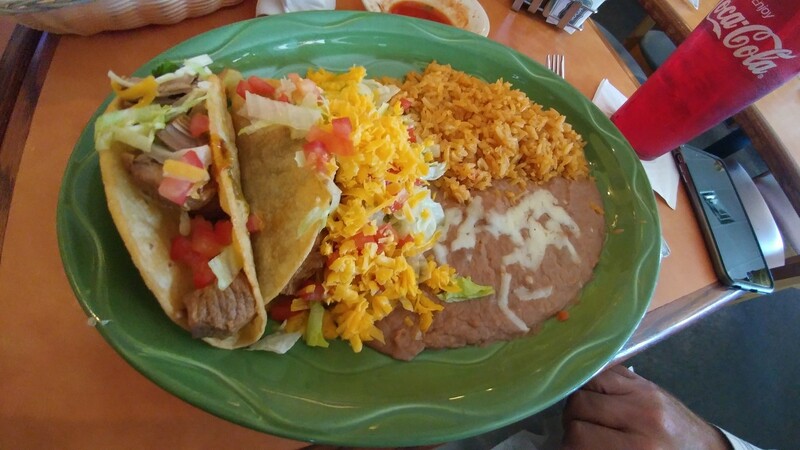 Each meal was served with rice and refried beans. For protein choices, there was chicken, pork and beef. 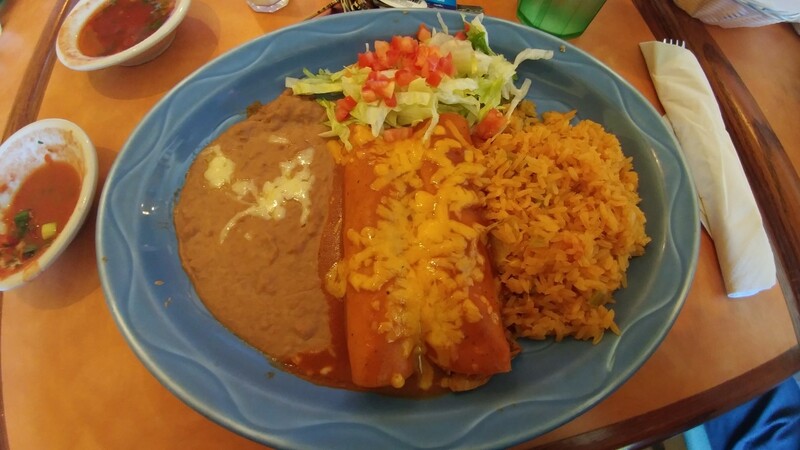 Most of us ordered from the cheap lunch menu and was happy with our choices. 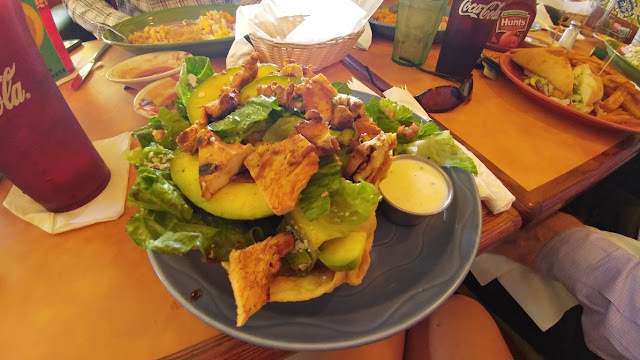 The avocado salad was not $5.99 but it looked amazing and it was still under $9.00. 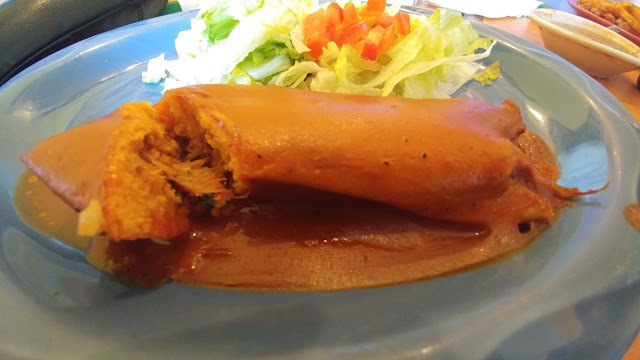 The tamale was delicious, I got one piece a la carte. It was actually better than the ones I had in Puerto Rico.